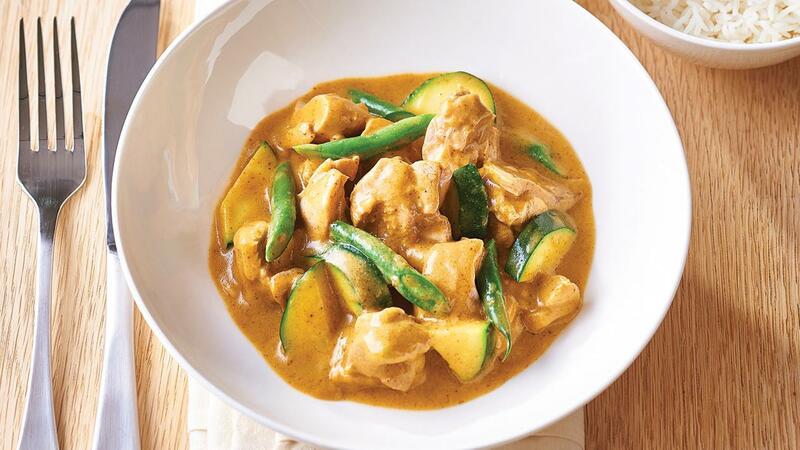 The sweetness from the mango combined with the coconut makes the perfect sauce for chicken. Combine the KNORR Coconut milk powder, water together and KNORR Patak's Mango Sauce. Combine with the chicken and vegetables bake in the oven at 180 degree Celsius for 30 minutes or until cooked.